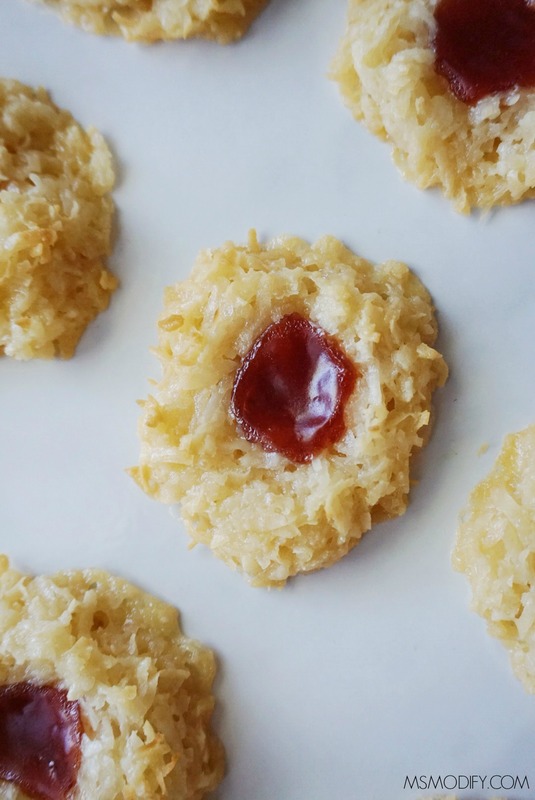 A twist on a classic favorite, these coconut macaroon thumbprint cookies are both gluten free and dairy free! 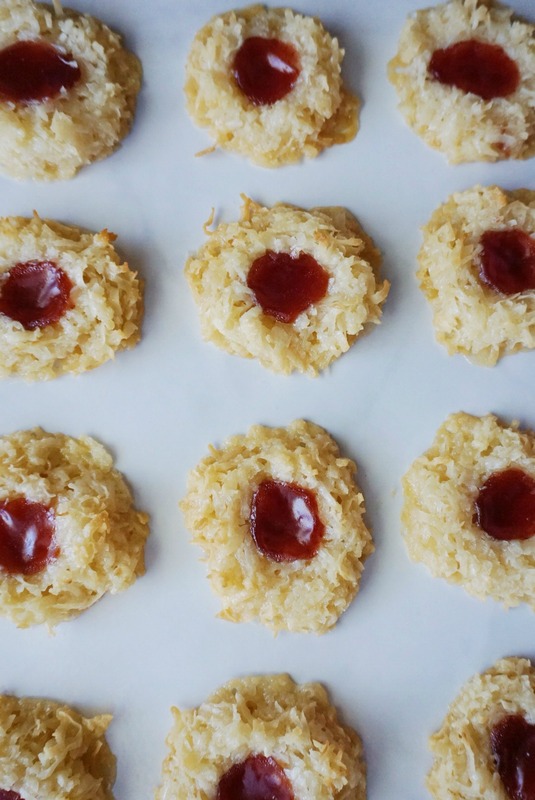 When you think of thumbprint cookies, a shortbread base is what most often comes to mind… and don’t get me wrong I do love those! Let’s be real, I’ve rarely met a cookie I don’t like! But, this time I decided to modify the traditional version mixing the best of both worlds… coconut macaroons and thumbprint cookies! 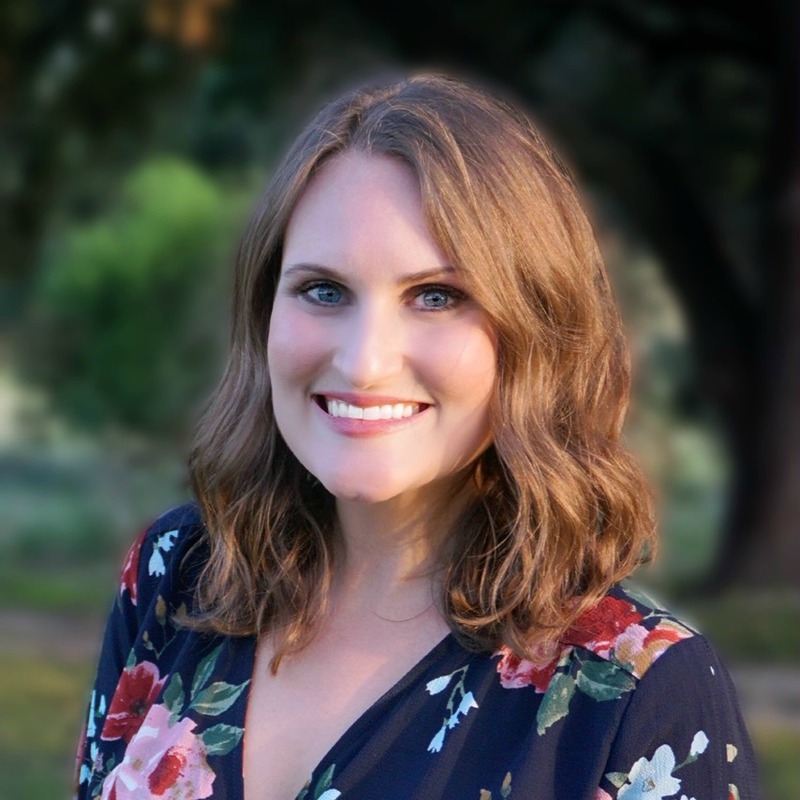 Let me tell you… they didn’t disappoint! If you’re up for, go ahead and make homemade jam! I opted for a store-bought organic, no-sugar-added raspberry jam. If you don’t avoid dairy, you can substitute the coconut condensed milk with a can of condensed (dairy) milk, just keep an eye on the baking time. I find coconut condensed milk at my local grocery store (Sprouts Market) but you can also order it here. 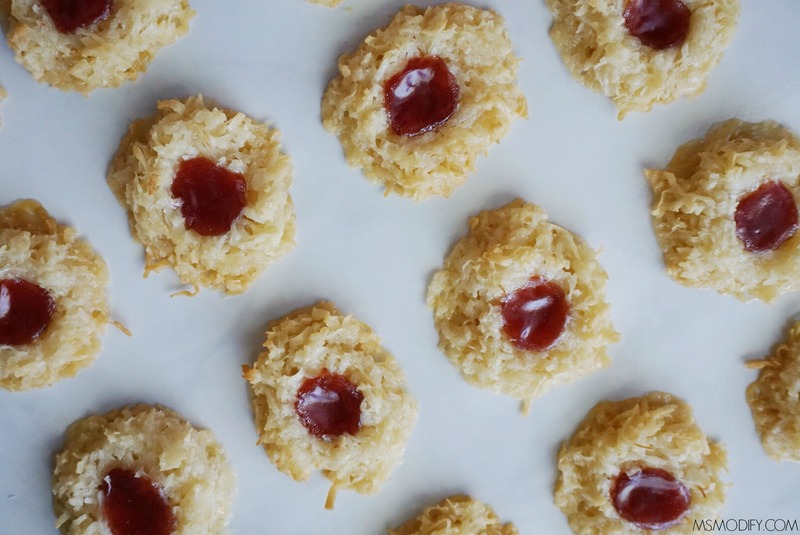 A twist on a classic favorite, these coconut thumbprint cookies are both gluten free and dairy free. In a mixing bowl, combine coconut, gf flour, condensed milk, salt and vanilla. Stir until evenly mixed. Drop about two tablespoons full onto parchment paper. Press a well into the middle of each cookie. Fill each well with jam. Bake for 25-30 minutes, or until golden brown. Time may vary based on the strength of oven, so keep an eye on them so they don’t burn. Remove from oven and let cool. They will be soft at first, but firm as they cool. This entry was posted in Recipes/Dining Out and tagged coconut, cookies, Dairy-Free, dessert.